We are so enamored by celebrity fashionista Jennifer Lopez. Her gorgeous looks grace the covers of magazines, red carpets, television and movies. Last week Jennifer was spotted wearing an amazing and dazzling array of rings. Immediately we received dozens of questions as to where they are from and how to create this celebrity style. Jennifer is a huge fan of jeweler Norman Silverman. She has been seen in many of his fine diamond creations and recently paired $60,000 worth of his diamond bands with designer fashion jewelry by Melinda Maria. By mixing fine with faux Jennifer created a stunning style. The Norman Silverman diamond bands are stacked with Melinda Maria's Audrey Pave ring. This Audrey Pave ring is a favorite of fashionable ladies this season. The Audrey Pave ring is made of three sharp beveled bars that create and edgy cigar band. 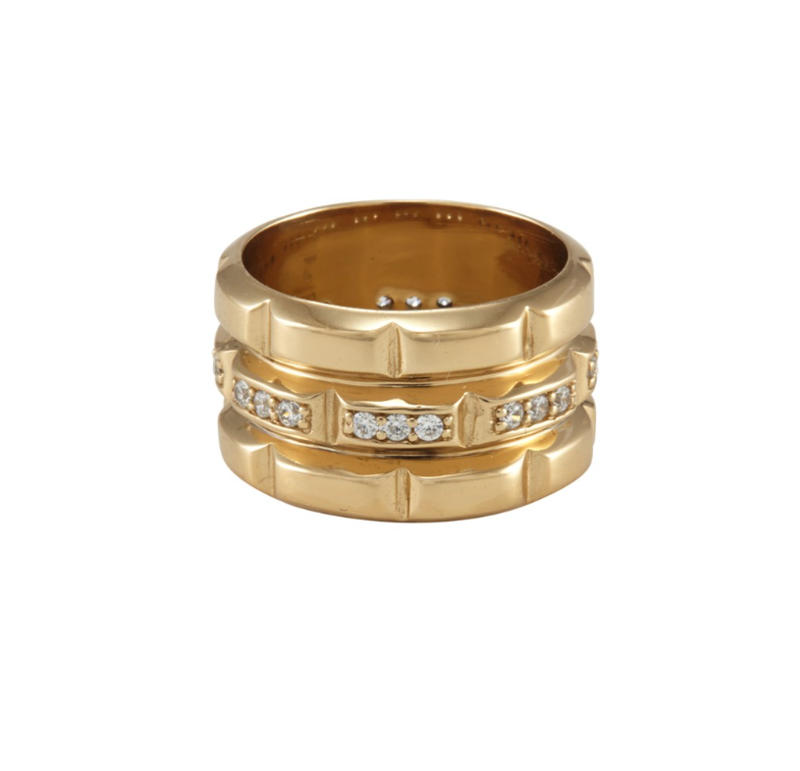 The center is designed with micro pave stones giving this 14k gold plated ring extra sparkle. You can create this look for less by mixing your diamond bands or cz bands with the Audrey Pave ring.